Alpine Heritage, One Hundred Years of History, Recreation, Lore in Alpine County California 1864 to 1964. Pioneers, mining, stage lines, Indians, etc. 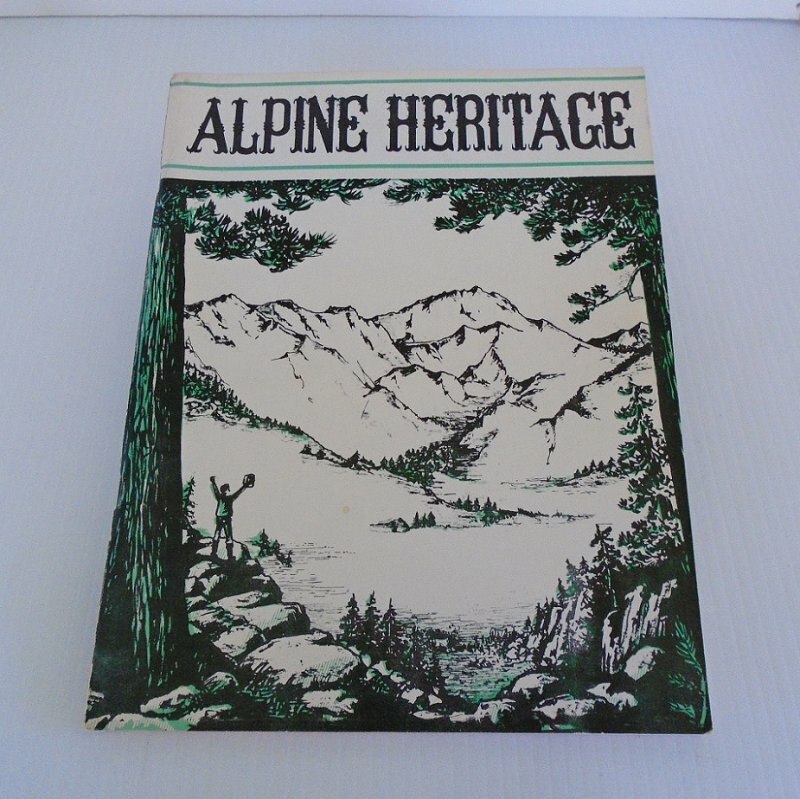 The complete title of this book is "Alpine Heritage, One Hundred Years of History, Recreation, Lore in Alpine County California 1864 - 1964". It was dedicated to Alpine Pioneers. It measures 8.5 by 11 inches and has 73 pages. It has many black and white photos. -Dairying and ranching, sawmills, telegraph and stage lines, mining, Indians, and many other aspects of early life in Alpine. Buyer to pay USPS First Class Mail Parcel delivery charges of $4.85. I do combine shipping on multiple items purchased. However, my web host is not set up to calculate multiple item shipping costs. At checkout, you will be charged full shipping price on each item purchased and I will refund the appropriate amount of overpayment. If you are uncomfortable with that, you can send me an email with your zip code and stating which items you'll be purchasing and I'll calculate the correct combined shipping charges and send you a custom invoice. Also, every January the postal service increases shipping charges. This year, many price increases were a bit steep with some package categories adding as much as a dollar on to an already high shipping charge. I try to absorb some of the new charges but that's getting harder with each increase.